Like many php programs, the HESK Help Desk Software from PHPJunkyard is free. Written by Klemen Stirn, all he asks in return is that you include a link back to his site when you install his "Hesk" - Help Desk Software. This software is quite extensive, especially considering that it is freeware. It is easily customized to look and feel just like your existing site by editing the styles within the header and footer. This is something that many of the paid software programs do not allow or make provisions for. The interface for both customers and staff is very easy, with a few simple text links, adorned by large graphics above them. The program offers everything that is needed within a Help Desk without any complication. The administration area offers two log ins with different levels of security clearance, staff and administrative. Using the administrative account you can devise the main settings for the entire program. 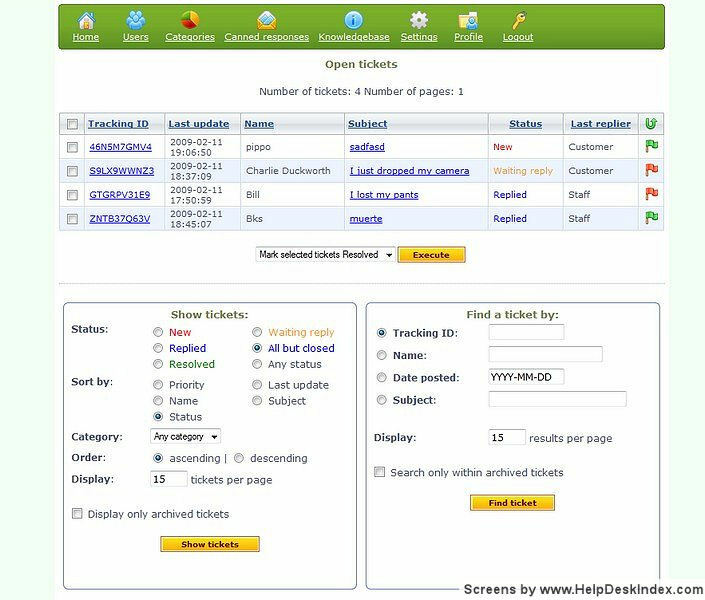 The Hesk Help Desk offers unlimited personalized accounts for staff members, unlimited categories for categorizing help tickets for the knowledgebase, canned responses, file attachments, a full featured knowledgebase complete with articles, categories, a search function and more, customizable fields and anti-spam features for help tickets, email notifications, a rating system for tickets and replies, an auto close feature for unanswered tickets, and language translation. This software comes with a self-installing script that uses MySQL database, and has been tested on Linux, Windows and FreeBSD servers. The only requirements need for running this script on your server are a MySQL database with php 4.3.2 or higher. 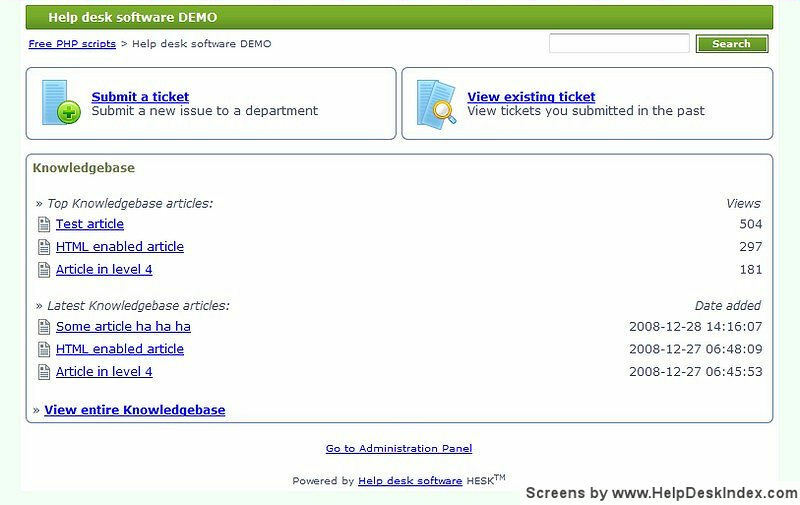 Help desk introduction video presents the basic Hesk features and benefits. Overall, for Help Desk Software, this is a wonderful program. The fact that it is free simply makes it that much better. It installs nicely, runs smoothly and is very easy to set up and operate once it is installed.